We used these at the Brambling House Independant School in the mid-1960s for the Duke of Edinburgh's Award Scheme. 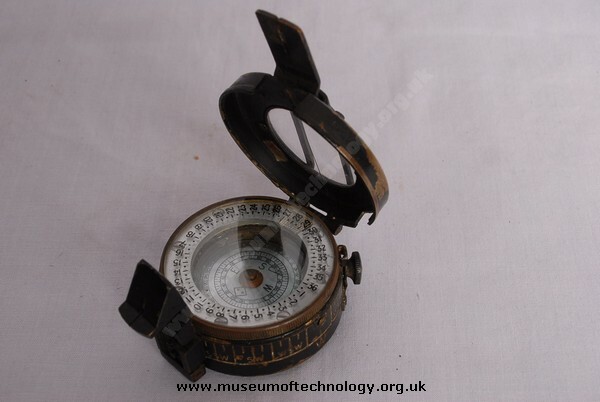 Nearly fifty years later, I still get my Ordnance Survey maps and a compass identical with this one out and go through the prismatic sighting procedure. Brings back fond memories and helps to stave off the onset of senile dementia (hopefully). Also I have seen one very similar but with the words and numbers in Arabic, since it was built by "Nistri - Rome and handed over to Somali troops in the colonial period.